Jesse Metcalfe was pictured at Desert Gold at Ace Hotel and Swim Club on 12 April 2014 in Palm Springs, California. The American actor attended the event presented by Marc By Marc Jacobs Eyewear, and wore a black and white graphic print short sleeved shirt from Marc by Marc Jacobs Spring Summer 2014. The hunky actor filled the shirt nicely. Love the shirt with the vintage inspired graphic print. With a pair of shorts and sneakers, that is pretty much how I roll in the summer. 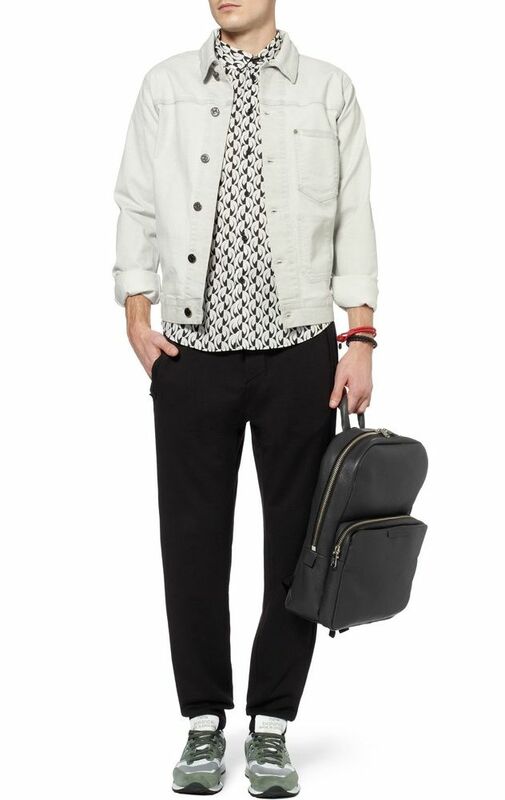 You can shop the Marc by Marc Jacobs shirt online from Mr Porter (US) and Mr Porter International. The same print was also used on their shorts, which I also love. Wear them together to create a great graphic look, or with a plain top to showcase the prints on the shorts. Or if you have pecs of steel like Jesse Metcalfe or the model above, flaunt it. You can shop the Marc by Marc Jacobs shorts online from Mr Porter (US) and Mr Porter International.